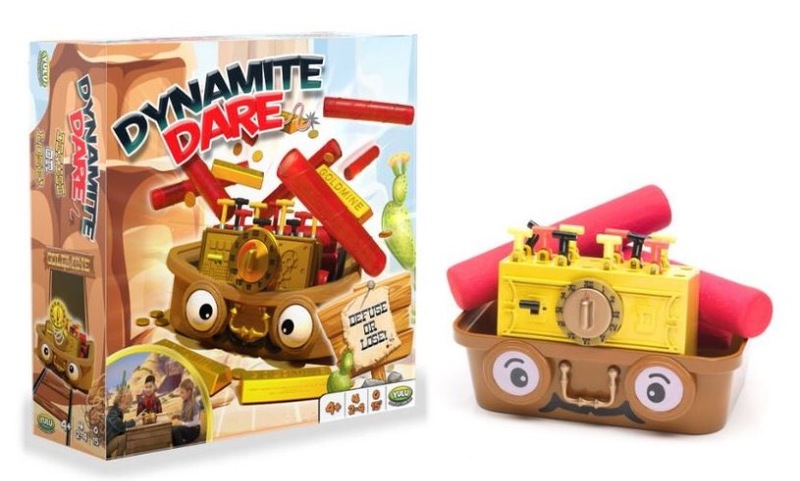 This is Dynamite Dare from Brainstorm games. It’s aimed at children ages 4 and over. 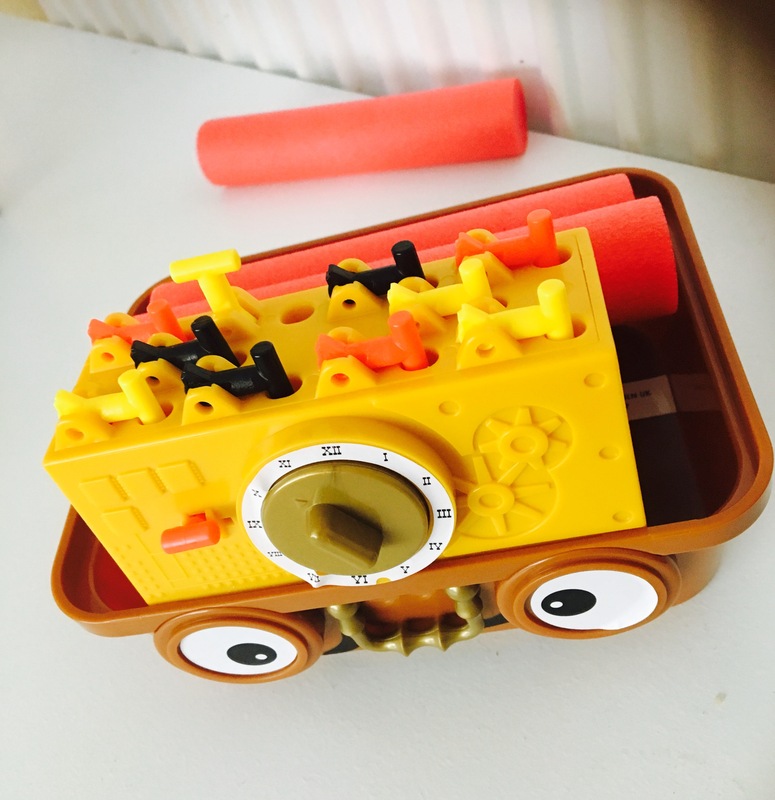 It requires no batteries, there is no dice, no counters, no cards and no board. It’s a very easy simple game with easy set up. This is the game, there isn’t much to it. Two parts that connect together and 3 pieces of dynamite (red foam tubes). There’s a few stickers to put on too, just make sure not to do what I did and put the clock sticker on the wrong way, oops! Luckily it came off easy enough and is now the correct way. The box says that it’s for 2-4 players but more can easily play if there’s more people. Although this game is meant for children, I have to say it’s possibly one of the most nerve wracking games I’ve played. You see those red, black and yellow switches on the image above, just above the clock? Well they start upright and players take turns to flick them down or off. The game can go two ways. A switch can either diffuse the dynamite or it can blow it up. Either way gives a pretty big shock and made us all jump. Just watch this! Yes you never know which switch will set it off. A good game to play if there’s a few of you is elimination rounds. Everyone takes turns and the one who sets off the dynamite is out, the remaining players keep playing until just one player is left. It may be for little ones but it’s lots of fun especially so the anticipation of whether it will explode or not. This game costs approximately £19.99 from many good toy retailers.